When Enoch and Rachel were married in 1778, they could both look back almost 150 years to the arrival of their ancestors to the shores of North America. Quite a legacy to pass on to their children. But Enoch himself was a participant in one of America's greatest adventures, the pursuit of an independent country. Both of their fathers, Enoch Rowell Sr. and Jacob Worthen, were soldiers in the American Revolution as was Enoch Jr. himself. So here we are, 235 years after the marriage of Enoch and Rachel, looking back at the great legacy they left to their descendants. Enoch was born in Candia, New Hampshire on 3 July 1756. The course of his life was seemingly predictable, help with his father's farm, get married, start his own family and farm his own land. But the events of 1775 would change his and the lives all residents of the American Colonies in drastic, unforeseen ways. Enoch's father was a farmer of modest means who had already seen military service in the French and Indian Wars. Enoch Jr. would no doubt have participated in militia drills and was probably comfortable with using guns in the procuring of food and possibly the killing of foxes and wolves. In April of 1775 the War of the American Revolution began with the skirmishes in Lexington and Concord. Word spread throughout the colonies like wildfire. Men began pouring into the area around Boston. 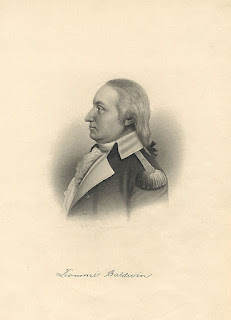 In late December of 1775 Enoch Rowell Jr. arrived at Sewall's Point and in January of 1776 he signed on for one years service in Captain Thomas Cogswell's Company and Lt. Col. Loammi Baldwin's Regiment. Enoch's company was encamped outside of Boston during the siege which ended after Lt. Col Henry Knox brought the captured cannons from Ft. Ticonderoga and place them on the Dorchester Heights. This action resulted in the evacuation of the British Army from Boston on 17 March 1776. The British Army removed to New York City as did the American Army including Lt. Col. Baldwin's Regiment. Enoch spent the remainder of his service time outside of New York. He mustered out of service on 3 January 1777 at Peekskill on the North River and headed for home. On his return he would have found that his father had died in November at Ft. Ticonderoga and that his mother had been made administer of his father's estate. I imagine that he would have helped her with the farm and his younger siblings. In September of 1777 he enlisted in Captain Moses Baker's Company of volunteers who marched from Candia, NH to join the Northern Continental Army at Saratoga, NY. He served from 27 September until 3 November 1777. 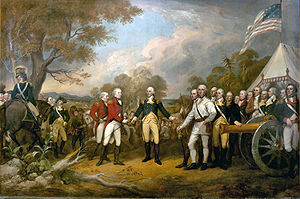 Rachel his wife wrote in later life that she remembered him saying that he was at the surrender of Col. Burgoyne. Finally in September of 1778 Enoch got down to serious business and married Miss Rachel Worthen, daughter of Jacob Worthen of Candia. Their first son Enoch was born six months later, hum, I wonder if he was a premie? Soon after the conclusion of the war, Enoch and most of his siblings left Candia for new towns. His brothers Daniel and Eliphalet seem to have gone to Maine, his sister Mary and her husband left for New York, only Miriam remained in Candia. Their mother Meriam died there in 1813, she did not remarry after the death of their father in 1776. By 1790 Enoch and Rachel were living in New Grantham 66 miles to the northwest of Candia. In the 1800 Federal census they were in nearby Plainfield, where they remained for the rest of their lives. The majority of Enoch's children made their way to Albany, Vermont. Enoch and Rachel remained in Plainfield. They gave their land to their son Jacob so that Enoch could get a pension for his military service. Enoch died aged 84 on 2 August 1840 and Rachel died four years later aged 86. I am a descendant of both William and Samuel Duncan Rowell. William's daughter Viola would marry her first cousin Enoch, son of Samuel, and have three children, including my great grandmother Jennie Clover Rowell.